I’ve decided to plough through Wieland scholarship chronologically. First, I began with Martin S. Viles and his 1903 publication on Charles Brockden Brown. Now I turn to Nina Baym’s 1981 discussion of Wieland. Baym begins her essay by attempting to push against a misconception in Brown scholarship. Brown publishes 5 novels in four years (1798-1801) and when these fail to give him the quick popularity he would need to support himself he turns to political pampheteering and magazine editing(Baym 87). Baym notes how Brown’s lack of success in the literary field has been used to support the assertion of America’s cultural immaturity in the early national stage. “Brown’s lack of financial success as a fiction writer,” she observes, has been interpreted by later generations of scholars as a sign of America’s cultural immaturity: we were not yet ready to support a serious novelist” (Baym 87). But Baym insists that this conclusion is a wrong one to make. “His lack of success needs to be put in a somewhat wider perspective,” Baym maintains. “No novelist, on either side of the Atlantic, had at that date succeeded in supporting him–or herself solely by writing novels, because authorship as a paying profession in general was then only nascent and because the novel was not yet recognized as a dominant, serious literary form” (87). Baym takes issue with the assumption that Brown’s literature was somehow more serious than other forms of American writing, particularly the work of American female writers like Rowson (Charlotte Temple), and that Brown was self-consciously writing as a so-called more serious author. Instead, Baym pits Brown as an amateur novelist, whose sloppy production of 5 novels in 4 years calls to question how seriously he actually viewed these literary attempts. Nina Baym is incredibley smart, cogent, and convincing, although I don’t buy her argument, but it will be a really great way for me to insert myself into Brown scholarship and show where it’s been and where it’s currently going. Because this essay will prove so important to me rhetorically as I begin writing my thesis (one paragraph down, woot! ), I’m going to include lots of quotes right now. Yay for interesting criticism!! It feels like it’s starting to all make sense now. These reminders may help us to avoid the sentimental fallacy of assuming that Brown would have succeeded better had he been a less serious author. E.g., “Americans simply had no great appetite for serious literaturein the early decades of the Republic–certainly nothing of the sort with which they devoured Parson Weems’ notorious cherry-tree biography of the nation’s father…or, say, the ubiquitous melodrams of beset womanhood, ‘tales of truth’ like Susanna Rowson’s Charlotte Temple  and Hannah Foster’s The Coquette .” We need hardly aruge that the absence of seriousness in the two works cited does not speak to its presence in the works of Brown. Although there is scattered testimony to the powerful impression that Brown made on some important later writers, both British and American (Keats, J.F. Cooper), there is no real evidence that his novelistic aims were very high. His letters, as Dunlap presented them, indicate no concern with any aspect of his fiction other than its salability. The “seriousness” of Brown’s work, nontheless–as the quotation above exemplifies–is an article of faith among his twentieth-century critics (Baym 87). By “serious,” these critics refer to a presumed purpose of utilizing fiction as a means of developing themes and ideas. Thus defined, the quality of seriousness in Brown’s fiction calls for the discovery and exposition of the controlling ideas in his novels; and to these tasks the modest yet enthusiastic Brown revival has devoted itself. A survey of these ideas produces, however, a list of truisms: “universal” banalities and late eighteenth-century conventionalism. In Wieland, for example, Brown is said to be defending–or attacking–rationalism; showing that our senses are liable to err, that we are not always in control of our will; tempering Deism with fate; decrying fanaticism. In his gothicism is discerned a commentary on the darker aspects of the human psyche. Except that an analysis of most fiction for its idea content leads to a similar set of conclusions, one hardly sees a case for Brown’s intellectual distinction in the ideas which the criticism has identified in his work. Perhaps, however, ideas are not what Brown’s fiction […] is really about (Baym 87, 88). Yet, the intense didactic bias in the Brown scholarship may be attributed in part to a distrust of his literary gift and achievements. At face value, it seems highly unlikely that five novels composed more or less simultaneously by a neophyte with no definite plan for any of them, will possess much literary merit. Indeed, only a genius of the first order could possibly produce good work under such conditions. Brown’s method of composition throws doubt, at the very least, on the seriousness of his commitment; so does the rapidity with which he abandoned fiction for more rewarding forms of writing. And the fact is that although Brown’s novels show command of some segments of the novelistic repertory of his day, they equally evidence carelessness, haste, forgetfulness, and changing intentions. (Baym 88). Like Viles, Baym here seems to be making value judgements about Brown as an author (recall how Viles claims Brown has no conception of how the human mind works), but I find these sorts of readings underestimate Brown’s actual abilities. While I in no way, shape, or form endorse any kind of hyperbolic reading of any author (and I don’t intend to do that for Brown), it seems curious to me that early national authors are faced with jugements about their style that their British male counterparts are never subject to. This brings in larger questions about the marginilization of early American literature in general and is particularly relevant for me as I make my way through the world of academia by actively branding myself as an early American scholar. I refuse to be an apologist for early American literature. So there. I said it. The flaw in Brown’s Wieland is basic and central: there is a continuous sacrifice of story line and character–hence, long-term coherence–for the sake of immediate effect. As the narrative progresses, indeed, a second plot, designed to maximize the opportunities for such effects, overtakes and ultimately obliterates the main story. These effects involve the creation of a type of terror which is significantly different from the sort of terror inspired by the main story. In two words, the main story is tragic, the supervening tale is gothic. As the plot advances, the tragedy recedes to the background where its vague presence imparts to the gothic some resonance and power beyond its otherwise trivial and transient impact. Yet this supervening foreground, while drawing strength from the tragedy, prevents access to that tragedy, diverts the reader from it (88-89). But Brown, in defiance (or ignorance?) of story logic, chose to bring Carwin into the novel’s center, where, for much of the action, the ventriloquist replaces Wieland as the object of narrative attention. It seems as if his function becomes precisely to divert the reader from the true center. As in a detective story, we must see everyone except the murderer. Though Clara’s obsession with Carwin–she is certain from the start that he is her family’s evil genius–he effectively usurps the antagonist’s role. Whether he meant to or not, Brown invented a second plot whose action moves from ignorance to discovery. Clara is like a detective protagonist, wanting to know what is happening to the family and who is responsible for it. Carwin, a minor character in Wieland’s story, is truly the antagonist in this one, because his behavior presents the obstacles that prevent Clara from discovering the truth. Fixed on Carwin, she doesn’t see the changes in her brother. She assumes that Carwin is the murderer at the climaz because she has eliminated any other possibility. But fixed on Clara, Brown’s narrative also fails to see Wieland’s change. He is taken off stage a rational man and brought back a demented maniac (93). So Baym is arguing that Brown’s narrative structure is inherently flawed because he constructs subplots that distract the reader from the central concern of the novel–Wieland’s dissent into madness. Once again, Baym is clearly a skilled rheotaritician, because I’m almost willing to buy her argument. Almost. But then I begin thinking and wonder, “Wait, Wieland is the protagonist of this novel and Carwin’s only a secondary character? What?” What about the ambiguity of the title “Wieland; or the Transformation” and how that transformation can also apply to Carwin. AND, what about the sequal Carwin the Biloquist? If Carwin was such a secondary character, why would Brown create a sequal that tells Carwin’s story. A better question, then, I would say is why Wieland is not called Carwin the Biloquist–Carwin seems to be more of a central character than the titular character. The novel’s change of direction proclaims itself in the opening of Chapter6, when Clara introduces Carwin. “I now come to the mention of a person with whose name the most turbulent sensations are connected. It is with shuddering reluctance that I enter on the province of describing him…my blood is congealed: and my finers are palsied when I call up his image” (p. 49). Let us remember that Clara is not telling her tale as it happens, in the mode of an epistolary novel. She is recollecting it. As a character she now knows that Carwin is not the villaim she mistook him for. Yet she (or the author who manipulates her) brings him to the reader’s attention with a heated vocabulary inconsistent with the narrator’s knowledge at the time she tells the story. Apparently, Brown is not attempting to characterize Clara but simply to use her as a register for melodramatic effects. Reader attention is arrested at those surface events which, though “thrilling,” will prove susceptible of explanation. We have no access to the state of Wieland’s mindl the question is no longer how he becomes a murderer, but who the murderer is. Substituted for the pity and awe of the tragic are the excitement and shock of the early whodunit, the gothic thriller. Ultimately, then, Wieland draws its dynamic neither from its transcendence of gothic nor its expansion of the mode to cover new literary territory, but just the reverse. Wieland does open such possibilities, but quickly retreats from them. It is gothic and sensational to the core. Like many aspiring writers in the early years of the republic, Brown’s literary purpose seems to be little more than to domesticate currently popular genres (94). I imply above that, as an inexperience writer, Brown might have found Carwin too difficult a technical problem and allowed him, through ineptness, to take a central role he was not supposed to have. But it might be supposed instead that it was Wieland who posed the insuperable technical difficulties ot a novice (especially given the choice of the first-person narrator), tragedy being so much more difficult to achieve than melodrama, and gothic machinery being so easily imitable (94). In the romance, the body’s outer signs are now in continual flux, and its inner meanings remain purposefully opaque. For Hawthorne and Melville, the supposed transparency between outer signs and inner truth or “nature” was deployed to establish a fiction of institutionalized inner truth or “nature” was deployed to establish a fiction of institutionalized genealogy (if bodily resemblance established family relations, those relations guarantee the passage of family “nature” from the past into the future). Precedent (in the form of family resemblance) was not simply a legal concept, then; it was a restrictive interior state, forcing citizens conceived as primarily members of privatized families into patterns of repeated “nature” that thwarted the possibilities of alliance with people outside the class position signified and ensured by family “nature.” The romance’s challenge to the transparency between external signs and inner truth–the assertion that similar looks cannot guarantee similar natures–leads, then, to a challenge to the legal logic of precedent in the form of as genealogical crisis. If outward resemblance cannot determine inner inheritance, the institutional logic of precedent–that the past will pass naturally into the future, whose character it determines–loses its foundational authority (Castiglia 258-259). Freeing the present from the grasp of precedent not by challenging interiority, but by making the interior so deep that it becomes unreadable, so determinative that it cannot be reformed, the romance opens the innovative potential of the unforeseen, the unprecedented, the marvelous. And while these fantastic imaginings remain largely isolated in the intense privacy of the romantic interior, they also suggest new social arrangements, romanticism’s queer sociality. 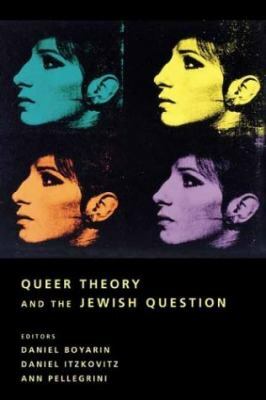 In calling the romance’s sociality queer, I do not mean necessarily to suggest anything about the sexuality of its participants, although their desires, affections, and pleasures are anything but heternormative. Rather, I am contending that romantic sociality, built on contingency, ephemerality, fantasy, and opaque and irredeemable innerness, runs counter to and distorts institutionalized sociality and its supplemental interior states, readable and reformable, that have become synonymous with public civility in the United States (Castiglia 259).